The use of chemical weapons by Syria and the potential intervention by the United States has illustrated a very interesting double standard in the perception of the weapons of war. Americans recoil in disgust at the thought of chemical weapons being used on civilians (and rightly so), but we are apparently willing to overlook the fact that our own military senselessly kills civilians via drone missile. Over the past few years, the United States military and intelligence drones have killed more suspected combatants and civilians via hellfire missile than the Assad Regime has with its chemical weapons strikes. As the USA has not declared war against most of the countries that we are operating drones in, these strikes are illegal under international law. It is undeniably terrible when chemical weapons are used on anybody—particularly if those killed are children or civilians—and I am not trying to minimize the deaths of those killed in the chemical weapons strikes in Syria. That said, I would like people to look at things in perspective and to scrutinize the American drone campaign with the same eye which is used to condemn the Syrian military for their use of illegal weapons on civilians. 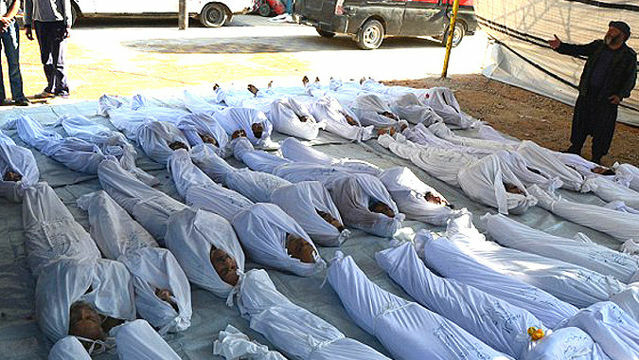 If we are willing to consider going to war with Syria in order to stop their president from killing civilians with poison gas, we must be willing to stand up and protest our own president in order to stop him from authorizing our drone program racking up an even higher death toll. At this point, it is virtually inarguable that chemical agents—most likely sarin gas—were used in Syria on August 21st against a populated area on the outskirts of Damascus. Evidence collected by the USA and UN ties these attacks to President Assad’s brother, but has yet to make a conclusive link to the president himself; regardless of this however, the Syrian army committed the attack, using weapons from the Syrian chemical weapons arsenal. These numbers will almost certainly change as the facts become better known, but the fact remains that a great many Syrians were killed by the Syrian government (or, at least, a part of it). Whether the strikes were from a rouge military unit or were from the top, they remain a war crime and an extreme breach of international law. When looking at these numbers, it is important to note that the BIJ is very conservative in its estimates of casualties (only counting confirmed kills) and it is very likely that more people have been killed in American drone strikes. 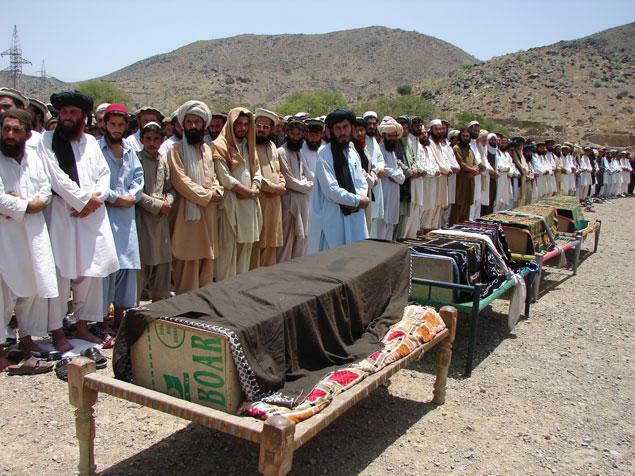 In addition to this, it is also likely that many of those killed who were not confirmed as civilians were, in fact, civilians, as the USA classifies every male casualty who is military age in the area of a drone strike as a combatant—the only way that they are confirmed as a civilian is if there is evidence that proves them innocent after the fact. The purpose of this article is not to excuse the use of chemical weapons by Syria or to argue that the USA shouldn’t take steps to prevent future use of chemical weapons by dictators; rather, it is aimed at getting people to clean our own house before we go out and find other tragedies to get involved with. If we want to reduce the number of illegal military tactics being used against civilians abroad, the fastest, easiest and least risky first step is to stop using such tactics ourselves. In addition to stopping the drone missile bombardment of civilian areas of Yemen Pakistan and Somalia, we should immediately cease “double tapping” targets (a primary strike on a target followed by a secondary one on anybody who comes to help) and killing people who we haven’t identified using “signature strikes.” Both of these tactics are illegal under the same international conventions that we are now condemning Syria for violating. To round out the list of things that we should stop doing in conflicts abroad, we must stop using white phosphorus and depleted uranium. These materials are not chemical weapons per say, but that is more due to a loophole in the letter of the law than any actual distinction in the effects of the substances (this is a loophole that the US, NATO and Israel have all wiggled through in recent years). White phosphorous causes terrible burns, while depleted uranium leaves a residue which causes severe birth defects. Hypocrisy of those in power is no excuse for the bad conduct of others, but we must strive to eliminate all of our own bad conduct with the same vigor as we put towards condemning others—put simply, the USA must stop violating the laws of war ASAP, and then we can start having credibility when we condemn others for their offenses.